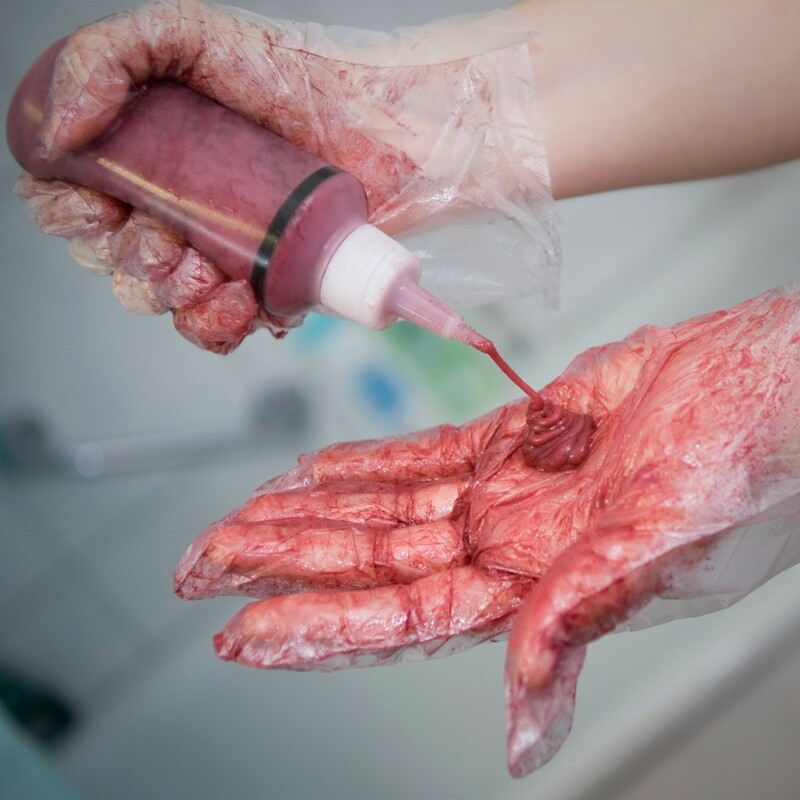 The best way to prevent getting hair dye on your nails or skin is to wear latex gloves when applying hair dye. However, if you get some dye on your nails there are ways to get the color out. This is a guide about removing hair dye stains on nails. I dyed my hair and forgot to put the gloves on, now my nails are black. How do I get the color off my nails? Try scrubbing hands with a thick paste of baking soda and water, then putting a thick coating of petroleum jelly, leaving it on for a few minutes, then scrubbing with an old toothbrush or nail brush. You can soak them in 40 volume hydrogen peroxide (that you purchase at a beauty supply) then wash well and apply a hand lotion to counteract any skin drying effect. I wouldn't recommend chlorine bleach because, not only is that bad for the environment and bad for your lungs, but newer studies are finding that bleach seeps through your skin and into your body that can cause a few internal diseases. You can also wear a nail polish color that will hide the stain whether it be French manicure style polishes or simply a couple of coats of any color you like the most. Though it's not my thought, but one that I came across in another 'helpful' web site, try rubbing your nails with whitening toothpaste. Presumably if it gets teeth white(er), then it should remove the stains from your nails. Hope it works! If you have stains on your fingernails after dying your hair, simply use a sos soap filled steel wool pad. Comes right off fingernails. You have to scrub a bit, but it's so easy to remove those stains. Completely agree with Scout! Just use an emery board or buffer. Like resanding a hardwood floor. How to remove hair dye from skin and nails? Hot water and soap. It may take a day or so for the full effect to come off. My daughter not only dyed her nails, she spent a good half hour playing with her hair while the dye was in it, with no gloves on, and her nails have been brown for 10 days, now! I'm going to try lightly filing them today after school, and then buffing them to seal the layers back together. Hopefully it's not gone so deep I would have to seriously damage her strong, beautiful nails to remove it! If it doesn't work on the first one, though, she's just going to have to let them grow out! Time to run to Sally's to pick up a buffing block! Thanks for the advice, ladies! Just use nail polish remover.